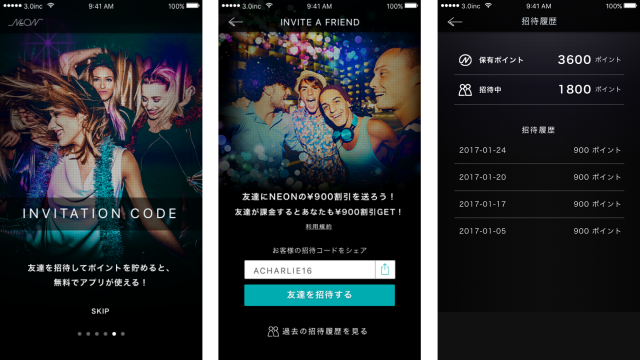 Unlimited Clubbing service LIVE3S returns with a full-on renewal. The rebranded service called NEON comes with full UI updates including a web app compatible across all devices. 3.0inc. 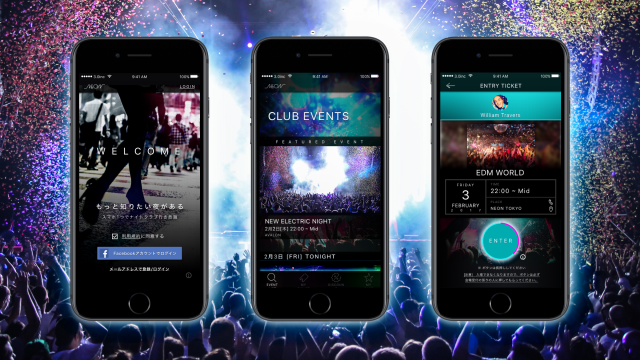 (Corporate Office: Shibuya, Tokyo CEO: Hiroyuki Asahara) has released a fully renewed version of LIVE3S, the unlimited nightclubbing smartphone app. 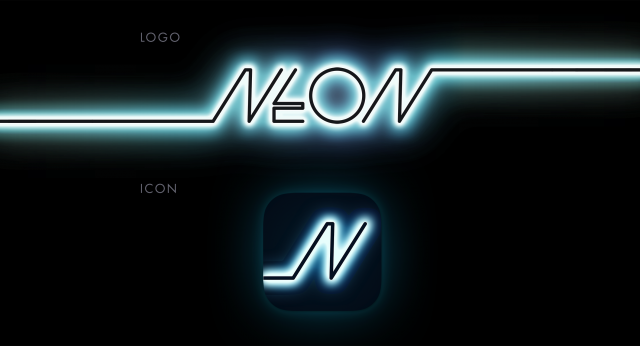 The fully renewed service now called NEON returns with four major updates: 1) design overhaul including logo, app UI and website, 2) addition of “Invitation Code” feature, 3) web version compatible across all devices, 4) a lineup of newly affiliated nightclubs for the unlimited nightclubbing service. In addition, the “event curation service” that was previously part of the service will be discontinued to brand NEON as a new type of entertainment app focusing on nightclub events. There are four major features to this renewal. LIVE3S now rebranded to NEON, comes with a design overhaul to all visual elements of the service including logo, app icon, UI and websites. Users are able to acquire a unique “Invitation Code” within their My Page. When the code is shared with an unregistered user (non-subscribed user) who enters the code upon subscription, both the “inviter” and “invitee” receive a discount. The unique “Invitation Code” can be accessed upon account registration, therefore allowing the user to share and receive a discount before subscribing to the service. Points can be accumulated *2, and by inviting over 5 users one can possibly use the app for free. *2 A user can accumulate a maximum of 50,000 points. In addition to the iOS app, we’ve released the NEON.WEB to provide the benefit of the iOS app across all devices. NEON.WEB provides the same functions as the iOS app on the web browser. 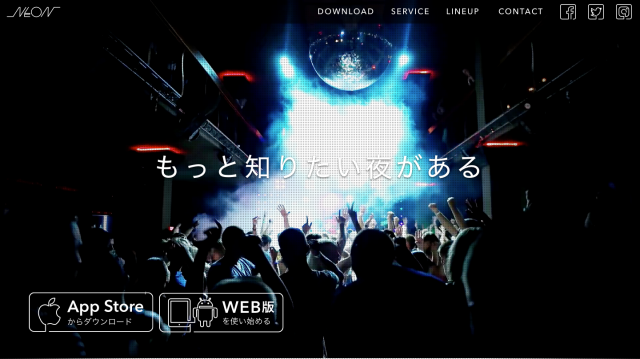 *1 This update allows us to provide “Unlimited Nightclubbing” service to users with non-iOS devices such as Android. 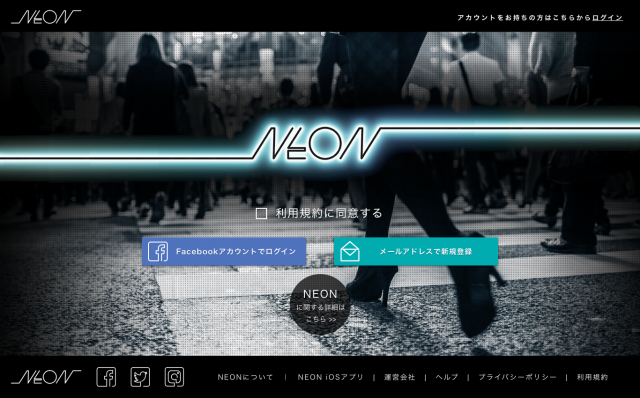 NEON.WEB allows users to connect from any device and caters to different situations where users can for example, “Make a reservation via desktop and enter with a smartphone”. 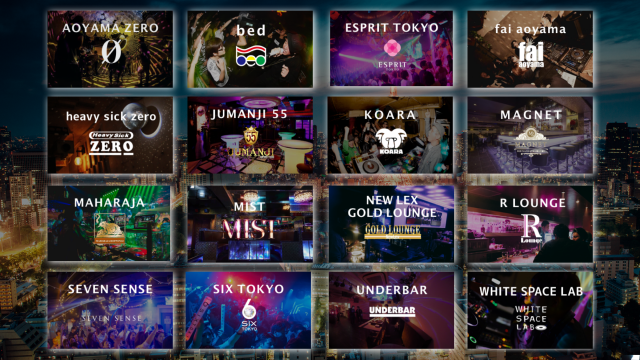 A total of 16 nightclubs are currently affiliated with NEON. Account Registration：Register with an email or Facebook account. Continue to registering payment information. Reservation：Select and reserve an event to attend from a list of events happening within 7 days. Select a Plan: Select the flat fee payment option. * Currently, the only available plan is 3,900yen/month. Entrance: Display the provided e-ticket at the entrance to enter the event. Make Another Reservation: You can make a reservation for another event, 30 minutes after entering a reserved event. ✔︎ The 14-day free list-viewing period is now unlimited. The previous service provided a 14-day free list-viewing after user registration and after the initial trial, the list-viewing was only available after subscription. With NEON, users can view events for an unlimited period of time. 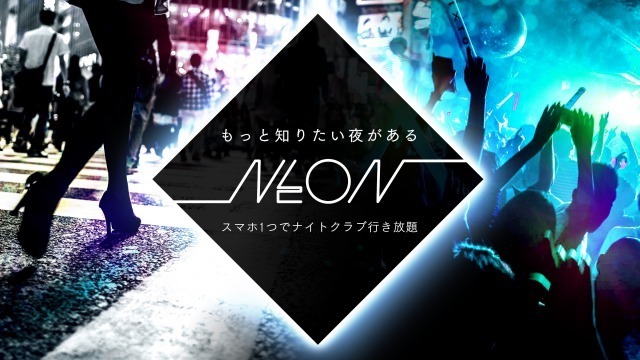 Previously, users were only able to choose from events within a 3 day span but NEON offers a listing within 7 days. This allows users to alway have access to weekend events and make reservations ahead of time.